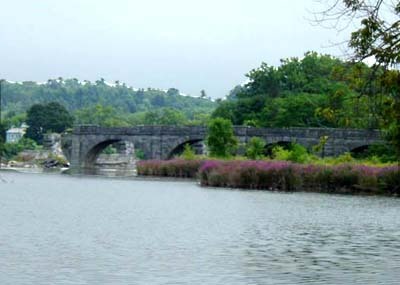 The arches are all that remain of the Schoharie Aqueduct that carried the old Erie Canal over the creek at Fort Hunter. 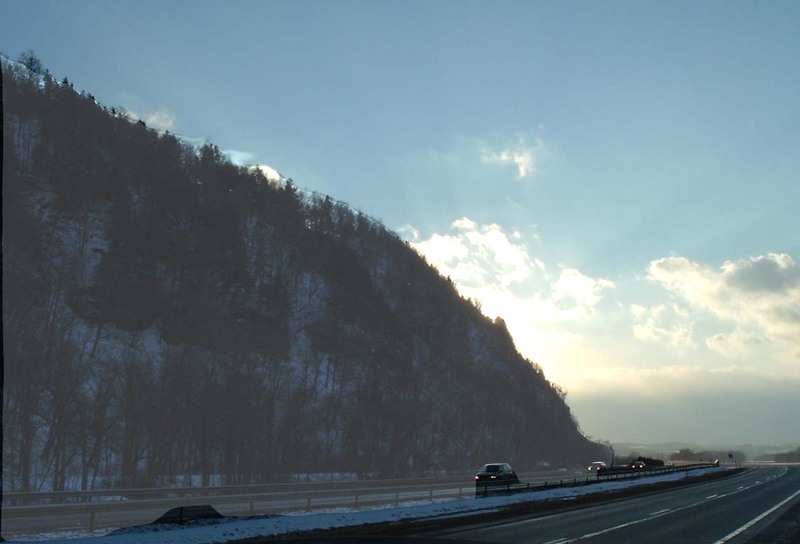 Sunset in late December along the NYS Thruway as it passes through a narrow gap, with the two Noses on either side of the valley. Moss Island sits between the Mohawk River and the canal locks at Little Falls. Breaching this barrier was critical to the construction of the Erie Canal. 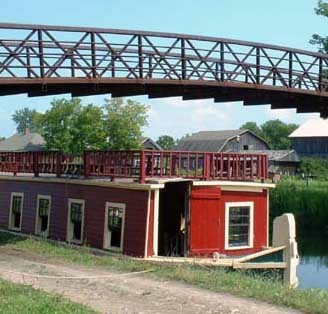 A packet boat waits for riders at the Erie Canal Village near Rome. 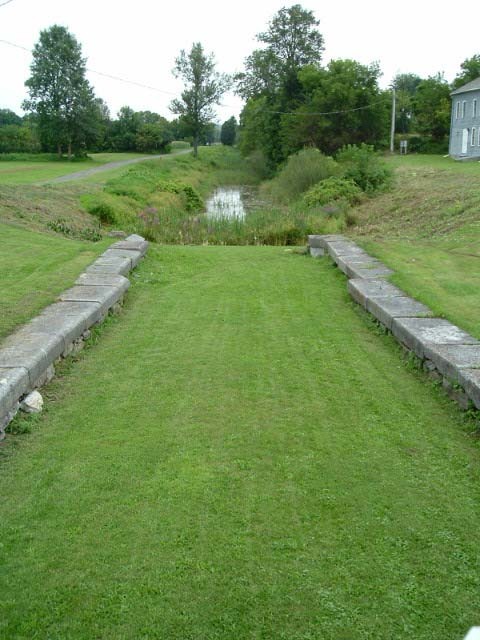 This section of the Old Erie Canal marks the spot where canal construction began in 1817. Turning Stone Casino on the Oneida Indian Reservation is a popular destination for gaming and entertainment. 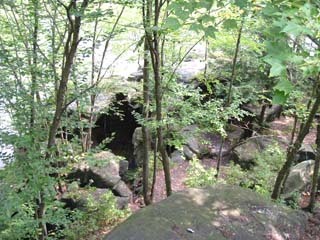 Secret Caverns is one of several cave formations near Cobleskill. Howes Caverns is more famous, but both have their merits. 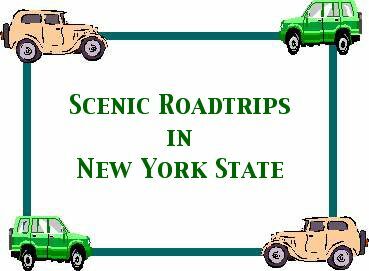 The Mohawk Valley and the high country adjacent to it gives the visitor a nearly complete flavor of Upstate New York. You have the river itself, which is part of the Erie Canal System. There are factory towns along the Mohawk River, as well as many historic sites dating back to the 18th century. You pass through the only near sea level route that breaches the Appalachian barrier. When you turn to the south and then mainly follow US Route 20, you see rolling countryside carved by glacial erosion. This is the home of abolitionism, underground caverns, and, most importantly, baseball. 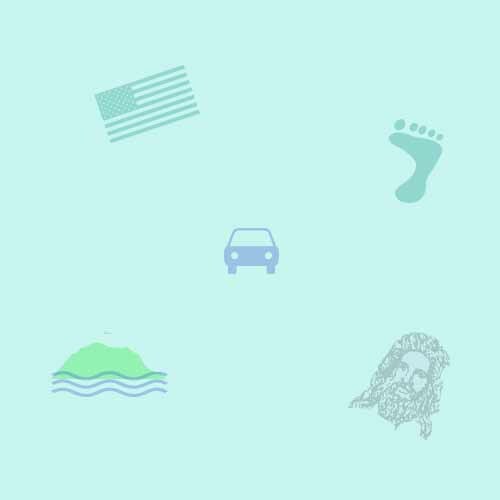 There is something in this road trip for everyone, but especially for that geographer hiding deep inside you! 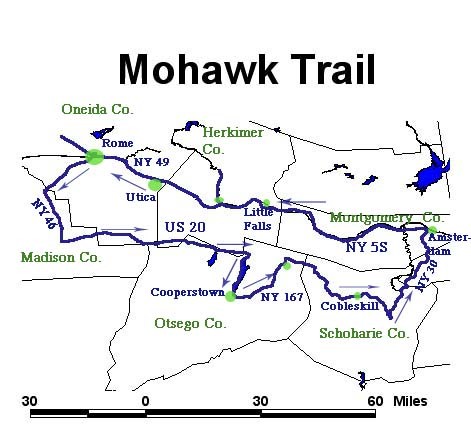 There are two main sections to the Mohawk Route. One section follows the river, and the other takes the "high road" to the south. The trip begins near Amsterdam, a river factory town easily accessible from the Thruway. Take Route 5S that follows the Mohawk on the south shore. The first stop is in Fort Hunter at the Schoharie Crossing State Historic Park. The modern Erie Canal uses the river itselft, but the original "Clinton's Ditch" paralleled it. Here you see the remains of old locks (photo at the right), and the Schoharie Aqueduct that took the canal of Schoharie Creek. As you continue westward, you pass through a very narrow part of the valley. Two towering cliffs - The Noses - frame the view. You pass through interesting old villages, like Canajoharie and Fort Plain. As you approach Little Falls, stop at the canal park on Moss Island. 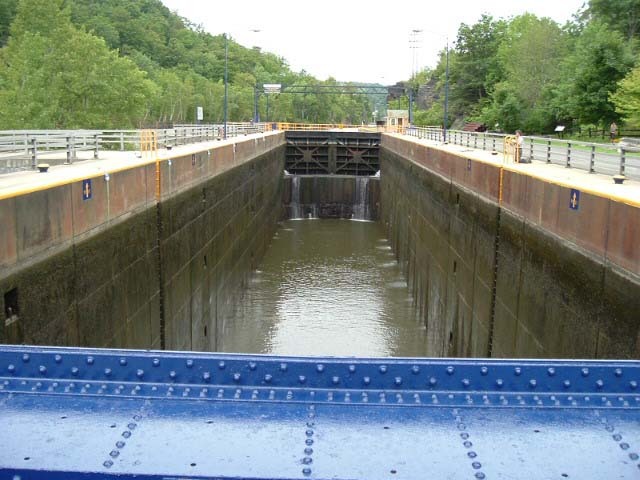 Here the canal has two very large locks, and the island itself has weird rock formations that are fun to explore. 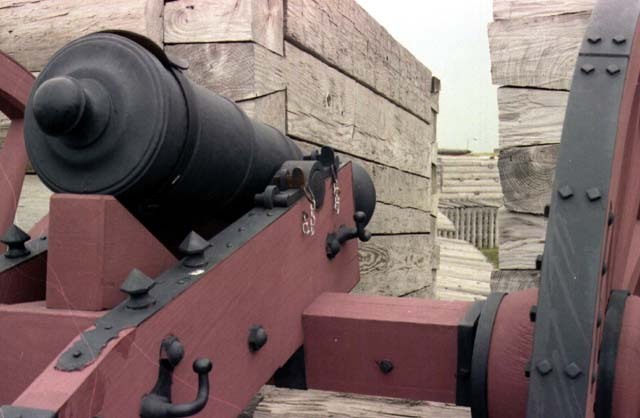 Cannons still guard Fort Stanwix, a critical place during the American Revolution. Little Falls is on the north side of the river. Follow Route 5 westward to Herkimer. For an unusual side trip, take Rte. 28 about eight miles north to mine for Herkimer Diamonds. (They're actually very clear quartz crystals.) Further travel on Route 5 takes you to the largest Mohawk city, Utica. One stop you might enjoy is a visit to the F.X. Matt Brewery, makers of Saranac beer. If you have a designated driver, then proceed on Route 49 to the historic city of Rome, home to the Revolutionary War Fort Stanwix and the Erie Canal Village on Rte. 46. Here you can get out of the car and enjoy a leisurely boat ride on the original canal. Backtrack to Rome and pick up Route 365, an expressway leading southwest. 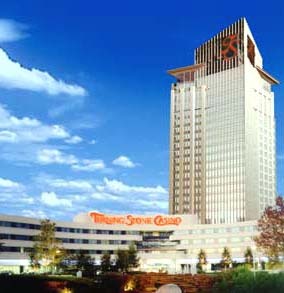 Where this road meets the Thruway is the very successful Turning Stone Casino, owned by the Oneida Indians. Continue on to the City of Oneida, where the Oneida Community was established. You can still visit the Mansion House. Now you pick up Route 46 and you climb out of the lowlands to the high country to the south. You reach US Route 20 near Madison. Turn left. The road has a gentle kind of beauty. You go up and down into valleys created by glaciation thousands of years ago. After passing Richfield Springs, look for Route 80. Turn right and you will follow Otsego Lake ("The Glimmerglass") right into Cooperstown. 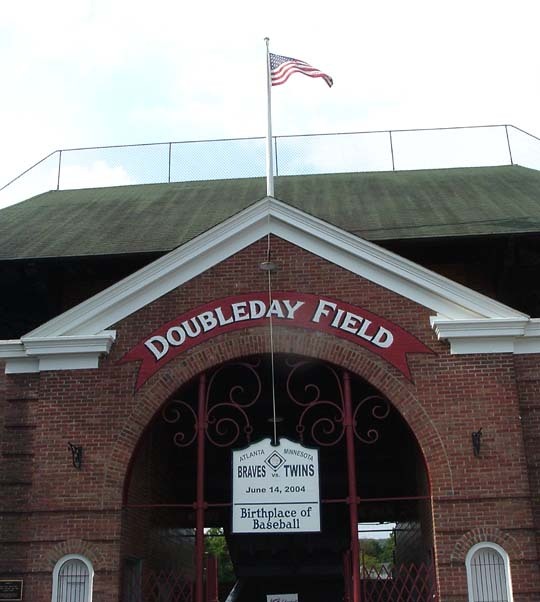 Of course, all baseball fans should visit the National Baseball Hall of Fame and nearby Doubleday Field. But don't neglect Cooperstown's other major cultural gem, the Farmers' Museum, right on Rte. 80. When you leave Cooperstown, pick up Rte. 167 north, which takes you through very nice farm country toward the old colonial frontier town of Cherry Valley. This little village was attacked twice during 18th century conflicts. North of the village you pick up US Route 20 again. When you get to Sharon, take Routes 147 and 10 through the college town of Cobleskill. You are in "Cave Country." 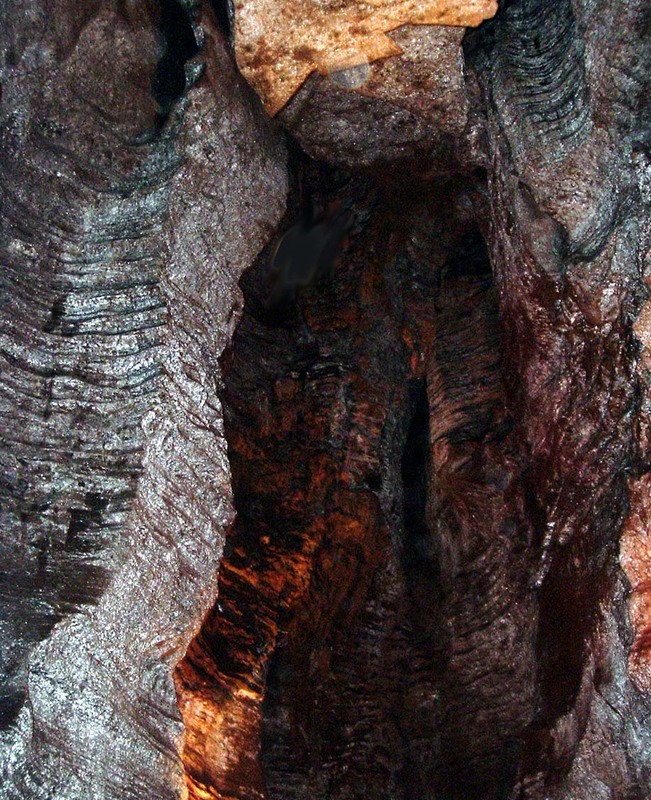 The most popular stop is Howes Caverns, but Secret Caverns is worth exploring also. You can't miss them. There are signs everywhere. To return to Amsterdam, take Route 30 north, following Schoharie Creek. This historic baseball stadium is named in honor of Abner Doubleday, who may have invented the National Pastime.